Most days, you wouldn't trade what you have for the world. You love your husband and your kids, and you are grateful to God for your life. But there are days when you feel as though life is rolling over you in waves and you are just going through the motions. You find yourself aching for something more, something that is calling to depths of who you are, maybe for something you can't even name. For Sarah Mae, it was Paris, a place that is known for breathtaking beauty, inspiring art, and exquisite food. But as she searched her heart, she found there was more to her longings than she anticipated. 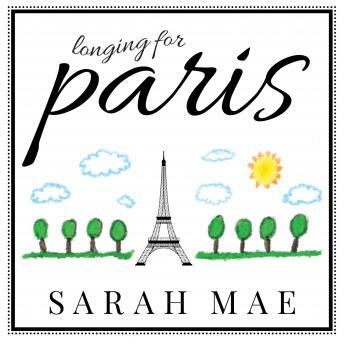 Join Sarah Mae in Longing for Paris, a soul-searching, light-filled journey for the woman who knows she can't uproot her life to discover herself and her longings, but who desperately wants to uncover them so she can get unstuck and choose a life that is filled with beauty, adventure, and deep joy . . . right where she is.